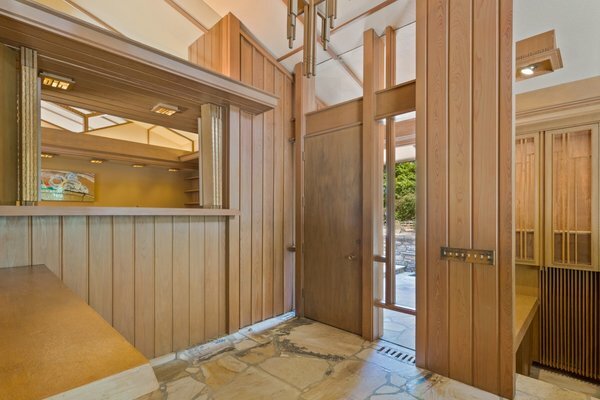 An architectural gem by a Frank Lloyd Wright apprentice seeks a new buyer in Memphis. 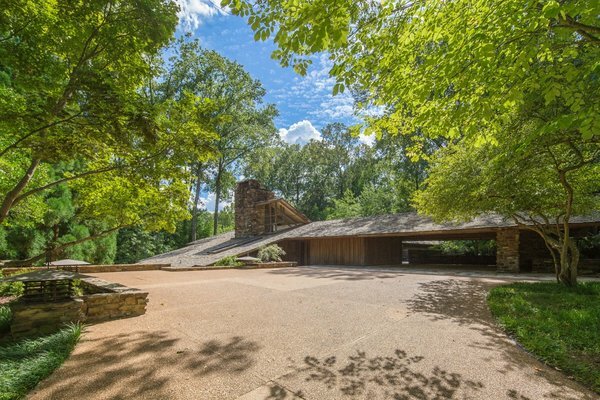 Declared by AIA as “one of the 10 most influential architects of the 20th century,” architect E. Fay Jones is renowned for his legacy of organic architecture that fuses principles learned under Frank Lloyd Wright with his own unique aesthetic influenced by his home region in The Ozarks. When seen from the driveway, the home’s low-lying gabled roof looks as though it touches the ground. Every piece of trim was custom-made for the house. 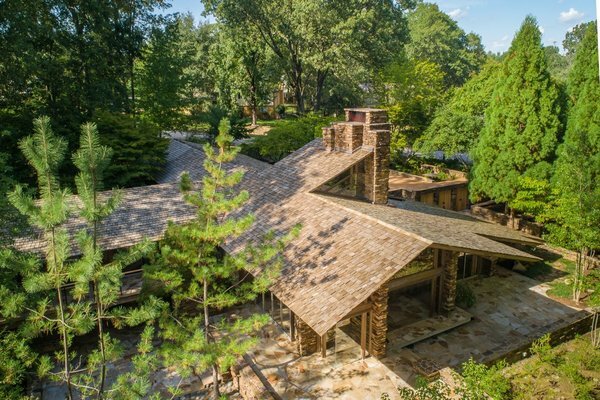 While the AIA Gold Medal laureate was most prolific in his native Arkansas, Jones’ inspiring work can also be found in nearby states including Tennessee, where he completed his first residence outside of his home state in 1965. 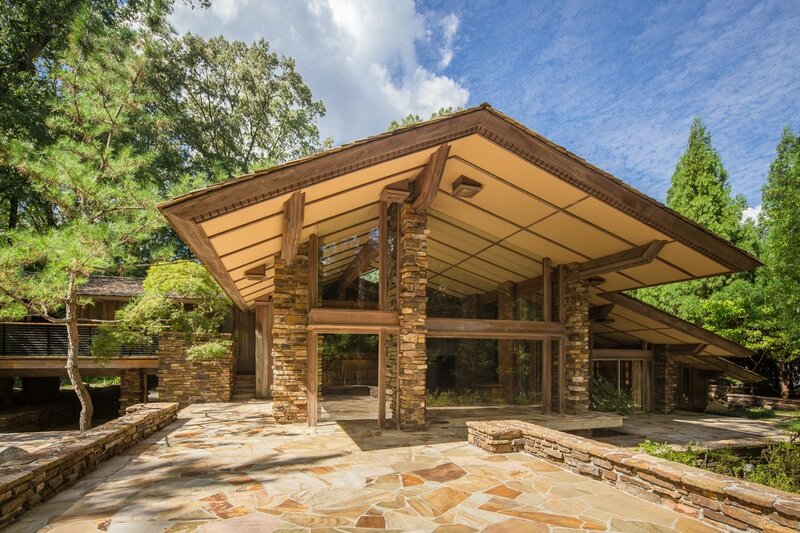 Located in East Memphis and beautifully integrated into its surroundings, this architectural masterpiece—the largest commission of his career at that time—has surfaced on the market for $1,795,000. A new 50-years cedar shake roof with copper flashing was installed just last year.